At Asia’s Global Business School, they seek students who demonstrate high EQ and a strong drive to pursue all-round excellence, in addition to having good communication and leadership skills. They intend Singapore’s NUS BBA to be the magnet in Asia for the most promising burgeoning leaders and managers with global aspirations; they are creating a communal hothouse for the best around the world to mingle, learn and grow together. While designing the ideal milieu for each Bizader’s social, intellectual and leadership developments, they are also ensuring that Biz will be the consummate cosmopolitan collegiate talent commune for building lifelong relationships. They wish to be associated with the community of individually most valuable alumni — being the most cherished professionals universally and having the strongest ties back to Biz. They are therefore always trying to globally attract the most enriching professors, the most engaging administrators and the most enterprising students to collectively empower a select and intimate circle of future movers and shakers of economies, societies and academia. Nuturing, Caring, Rigorous-thinking and Influential Leaders with a Global Perspective Centered in Asia. Students with Science as well as those with Arts background thrive in their niches in our integrative BBA programme. Both our local and international students, who make up 20% of our community, share the richly eclectic experience with more than 200 Business exchange students per semester. They welcome sensitive, inquisitive and articulate students, who wish to be held to the utmost honour standards, to become lifelong co-owners and co-builders of our international collegiate talent community. Students care for one another’s social, intellectual, and leadership developments, thus earnestly build together a close-knit alumni network of caring, analytic leaders and empathizing, innovative pioneers. Career preparation hence becomes Biz students’ collective central theme, right from matriculation. Goal 1: Our BBA graduates are able to identify and resolve ethical issues in general as well as in specific business settings. Our graduates can identify and assess ethical issues surrounding business decisions. Goal 2: Our BBA graduates are analytical / rigorous thinkers (this applies to all our business graduates, in particular to the BBA (Accountancy) graduates with an eye for details). Our graduates will be able to apply their thinking thoroughly to all pertinent issues that affect an organization’s performance and effectiveness. Our graduates will be familiar with the analytical frameworks and tools for problem solving. Goal 3: Our BBA graduates are influential leaders with the ability to articulate their point of views convincingly, and able to provide reasoned responses when challenged. Our graduates will be able to formulate visions, missions and strategic goals for the organisation and to articulate this convincingly. Our graduates can work effectively in a team-based environment, persuade and influence others to work collectively for a common set of detailed objectives. Goal 4: Our BBA graduates will blend a global perspective with Asian insights. Our graduates will be cognizant of global affairs, with understanding of the business environment in different regions. Our graduates will have general knowledge of the workings of the major Asian economies, and an understanding of the Asian psyche. With its focus on delivering a comprehensive and diversified curriculum and business education in Singapore, the NUS Business School has consistently sought to strive and improve on the quality of its programmes, teaching and research. These efforts have culminated in expanding the profile of the school on the regional and international scale, place itself a cut above the rest. – One of only 14 Business Schools in Asia accredited by EQUIS (The European Quality Improvement System). – One of only 29 Business Schools in Asia accredited by AACSB International (The Association to Advance Collegiate Schools of Business). – Member of the European Foundation for Management Development (EFMD), the leading international network association in the field of management development. – One of 2 Asian Business Schools who is a member of CEMS – The Global Alliance in Management Education. 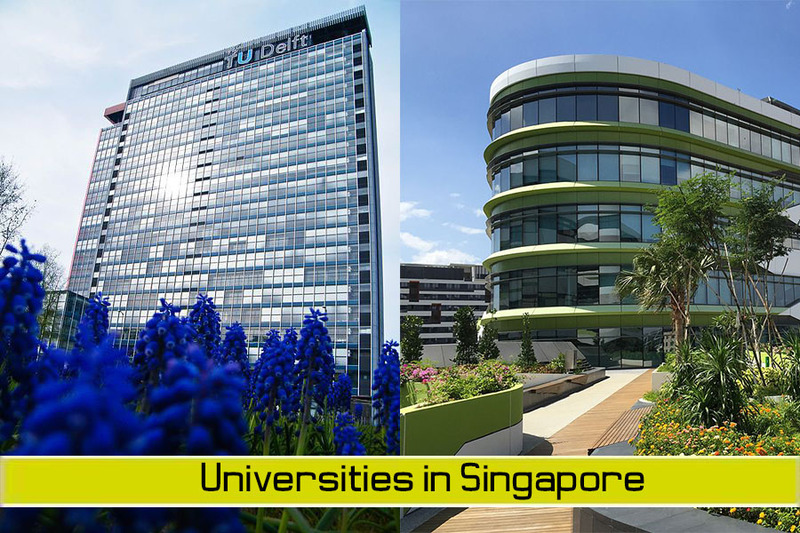 The latest rankings for NUS Business School can be found here. Beyond the above, they are also members of prestigious international bodies, namely GMAC, PIM, the Beta Gamma Sigma Society, Executive MBA Council and Graduate Business Forum.